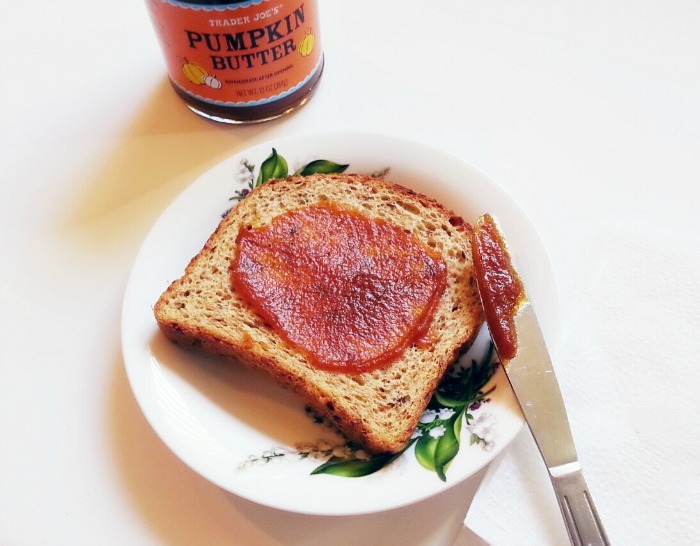 Breakfast had to be quick today, so it was toasted flax seed bread with Trader Joe's pumpkin butter. Another reason why I love the fall season- all these pumpkin flavored foods, snacks, coffee, pastries, bread, cookies....oh, I could go on. yum! I will need to try their pumpkin butter soon. Looks good! I don't think I've ever had pumpkin butter before, so I'll have to try it.